The proceedings of a symposium entitled Esther 2000 held in Lincoln and Omaha, Nebraska in April 2000, the book contains a collection of essays that engages all aspects of the biblical book of Esther. From questions of textual criticism to the history of rabbinic interpretation to speculation on the modern form of commentary, this collection is sure to contain something for everyone interested in the book of Esther. Contributors include such well-known Esther scholars as Michael Fox, David Clines, and Carey Moore. The Book of Esther in Modern Research by Leonard Greenspoon was published by Continnuum-3PL in February 2009 and is our 61140th best seller. 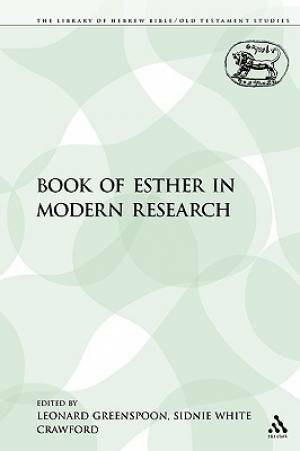 The ISBN for The Book of Esther in Modern Research is 9781441103055. Be the first to review The Book of Esther in Modern Research! Got a question? No problem! Just click here to ask us about The Book of Esther in Modern Research.